Looking to see what awesome colour mutations everyone has got. 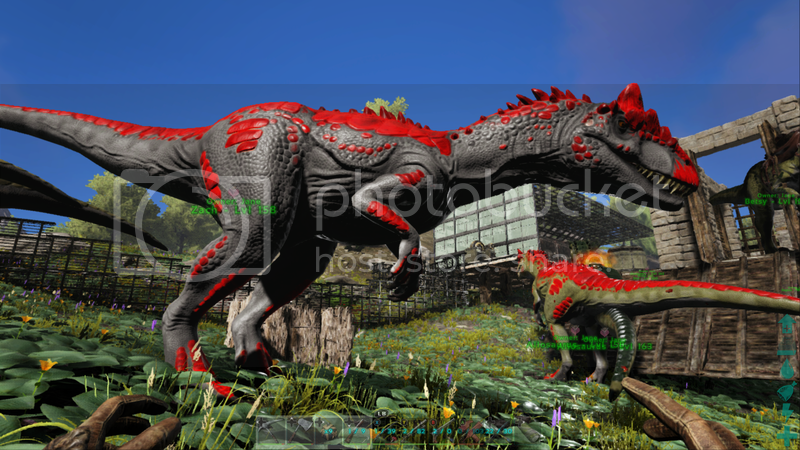 Time to show off those dino's we all been breeding for months. Best? Idk... but def unique! 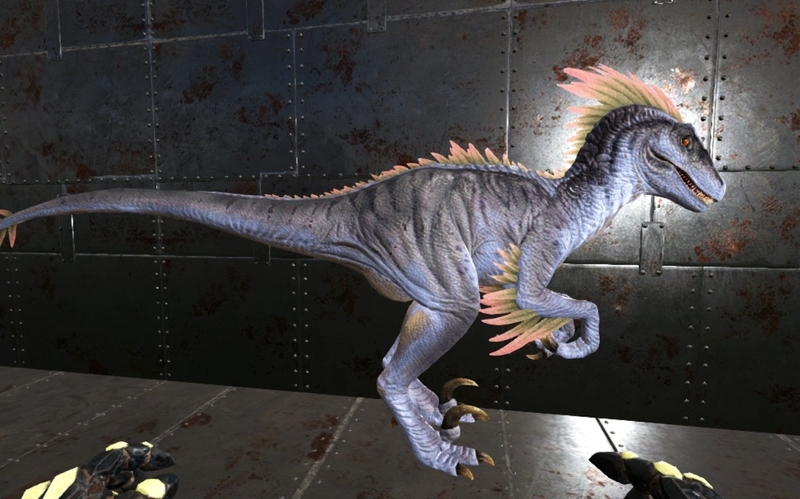 This one has many of the babies I have hatched with various colors and color mutations. 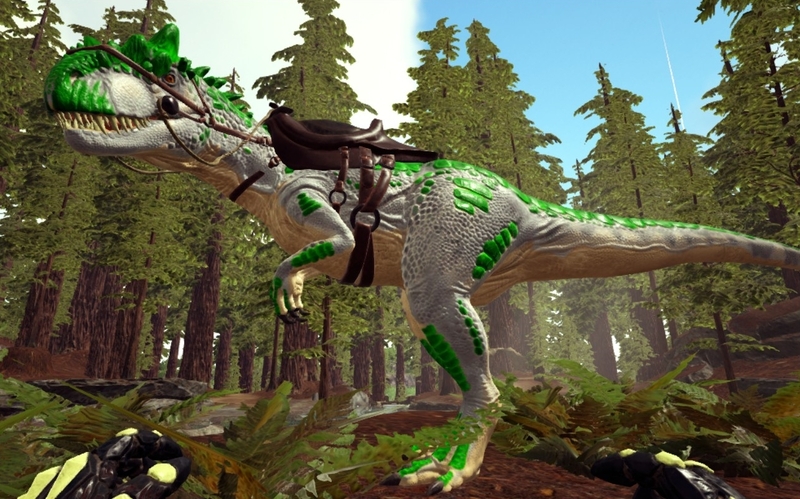 Wow thats an awesome Rex color. Gratz man. If only he would stay that small so you could name him Legosaurus. Totally doesn't look painted. How is he an adult already? 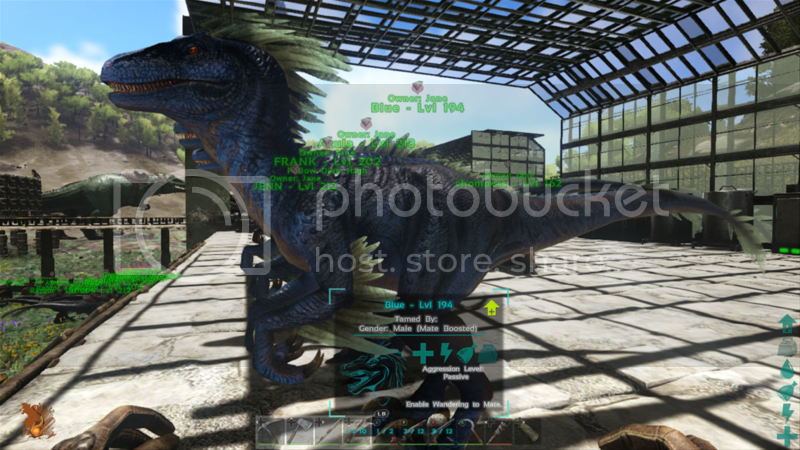 You can paint dinos with admin commands. Im not a fan of the neon colors either for the most part which is why I premised mine with saying they were unique but not best. I also prefer darker colors and hope to get more slate or black colored allo's. My fav is still the Red and grey allow of all the ones I have hatched so far. 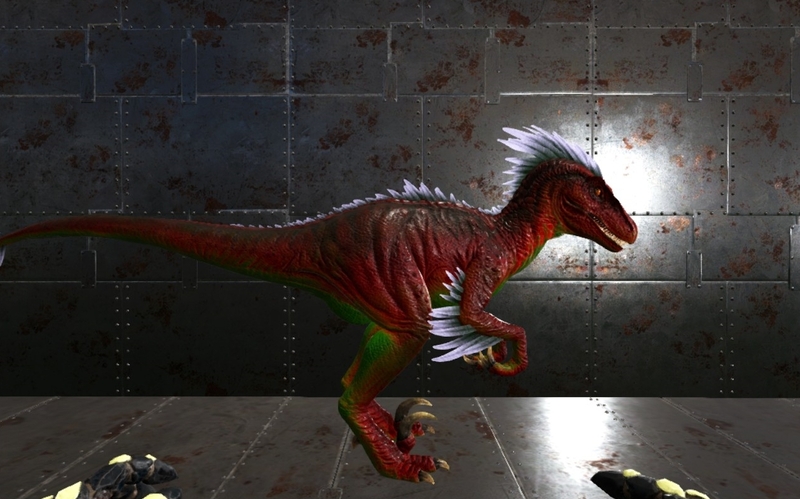 I am working on Allos again with hopes of getting some cool mutations. 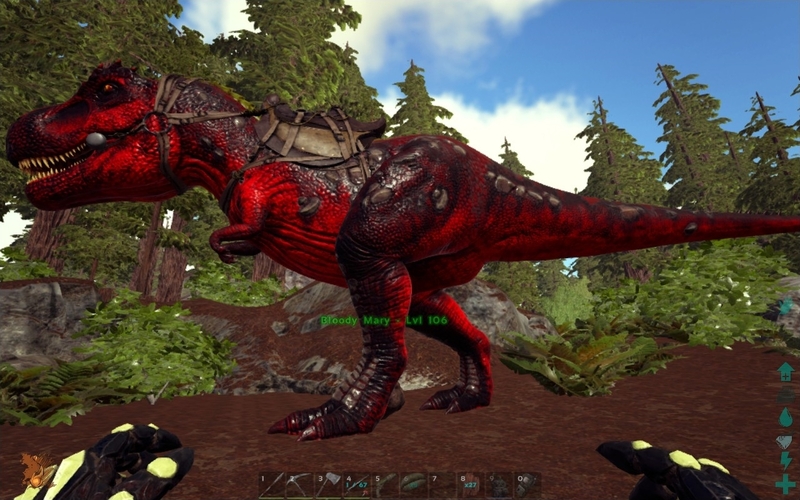 Just so you guys know, i would keep the colour mutations you don't like for the purpose of trading them to other people who might have the mutation you want in trade. 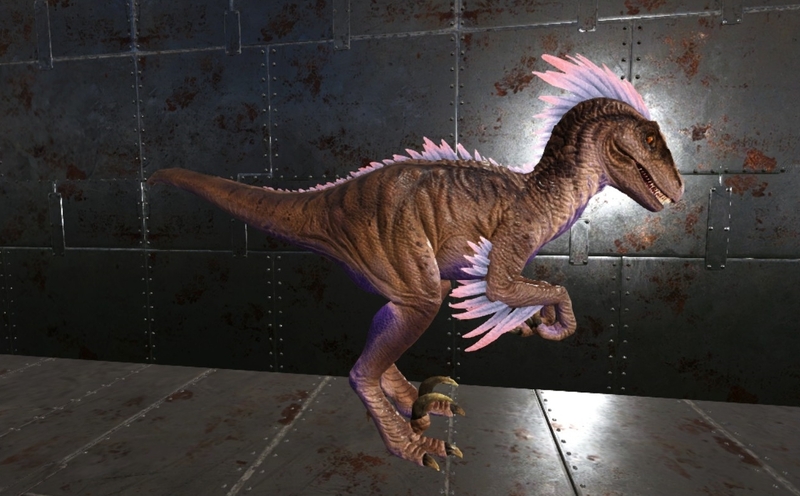 With that i love the posts these are awesome mutations. 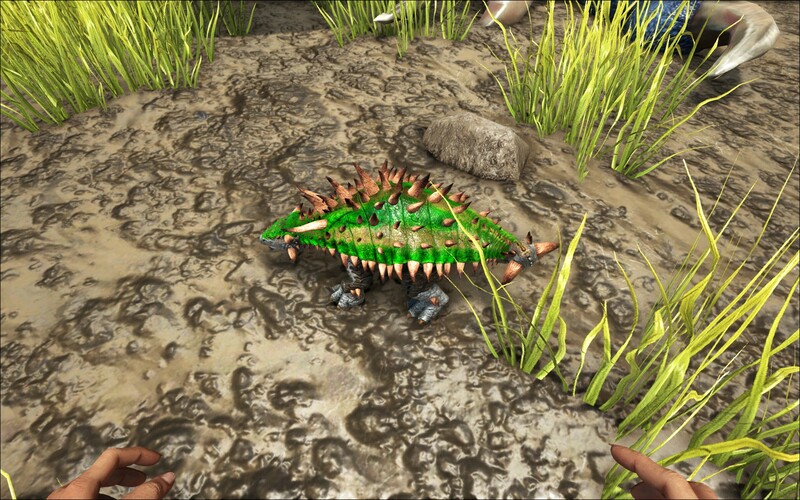 Ill post my mutated ptera's when i get the chance. No pic, but i managed to hatch a Thorny Dragon that had its back scaling mutate to a moss green-like color. 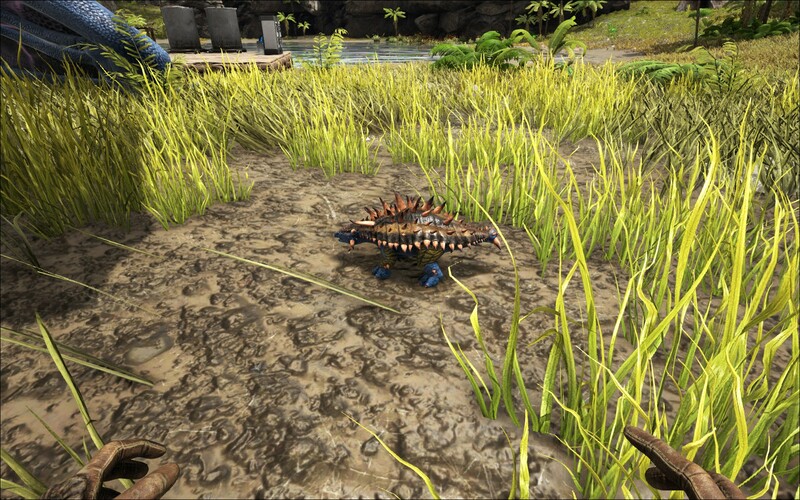 My Therizino lvl 272 - he got a yellow front and back. I agree with the above, please don't kill your unwanted color mutations. Others will buy them and it can really REALLY make their day to get a new color mutation in their collection of dinosaurs. 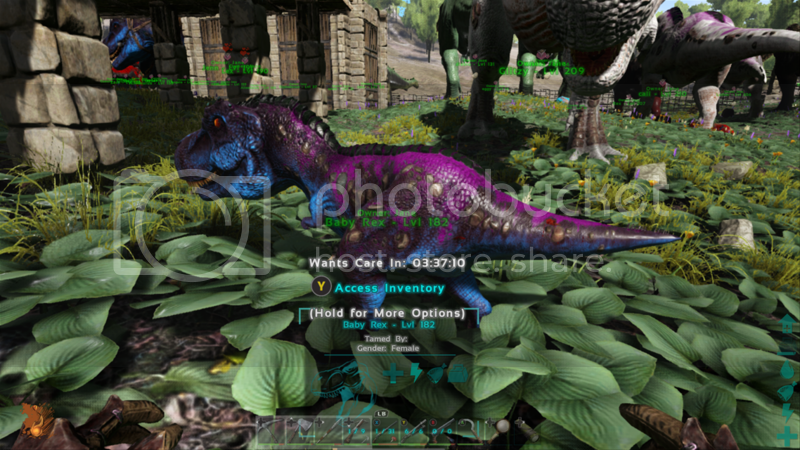 I'll be selling or trading many of the mutations my tribe and I have managed to breed as soon as I gain access to the trading section of the forums. Here are some of my favorites. These were from a group effort in a tribe of 4, so I can't take full credit for any of them! She looks white but she's a really pale gray. Next to a white rex she is much darker in color. The red and green are mutations. The feathers are normal. Purple belly mutation. The tan body and the pink feathers are from the dad who has no mutations. Powder blue belly and stormy gray back are mutations. 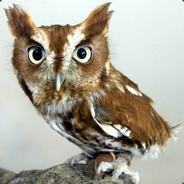 His feathers are normal. Bloody Mary, my favorite rex! The stripe on her back is bright yellow. 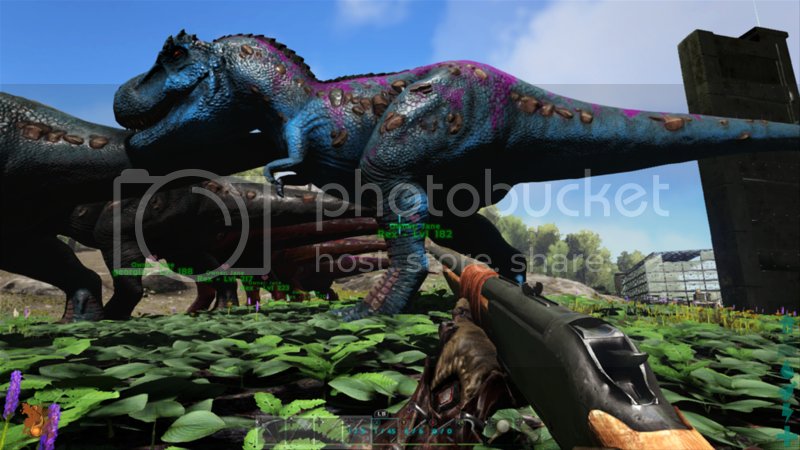 I love color mutations and have many more I could share but I have already flooded the board. Sorry about that! I just love seeing what others have and sharing what we have gotten. 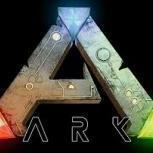 http://ark.gamepedia.com/Mutations has some limited information on mutations. They come through breeding, most people get them from inbreeding a father to a daughter, or a mother to a son for example. 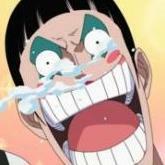 But they can also come from a pair that has no relation. It can be either colors or stats, and currently there are no negatives so if you get a stat mutation it will be a boost to that stat for now. Later on negative mutations will be added. Each dinosaur has up to 6 different color regions, and in theory can have a different color in each region. 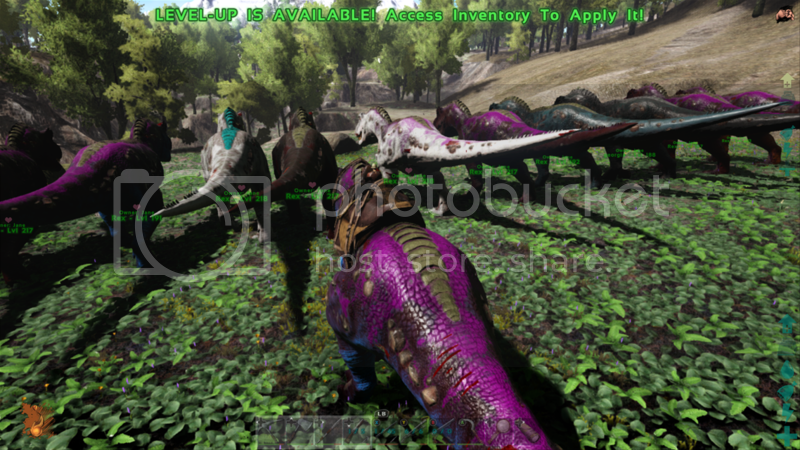 We've only ended up with 3 color mutations on the same dino so far, but we're still trying for more! 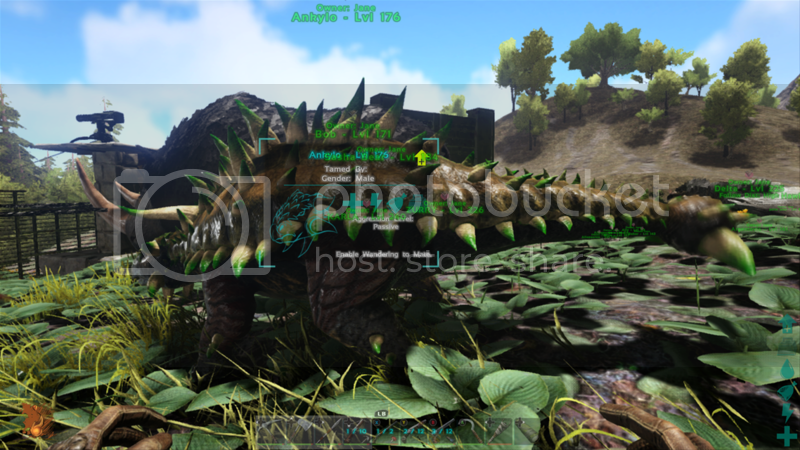 Just a few of the things we have that got mutations, ill post more later on. 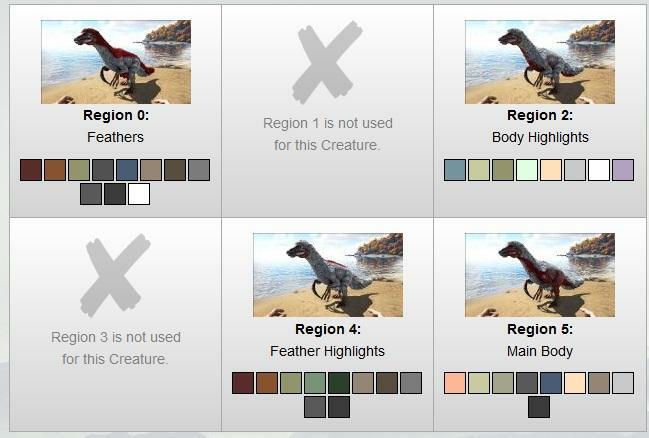 Sorry to say that, but according to the wiki your Therizino has normal colours. It's a mutation, because none of the parents had this colouring. 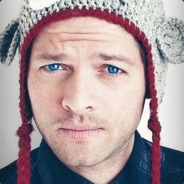 @Taybad Are u on pc? If so are you willing to trade any of your mutations? So mutations can be normal colours or bright neon colours? 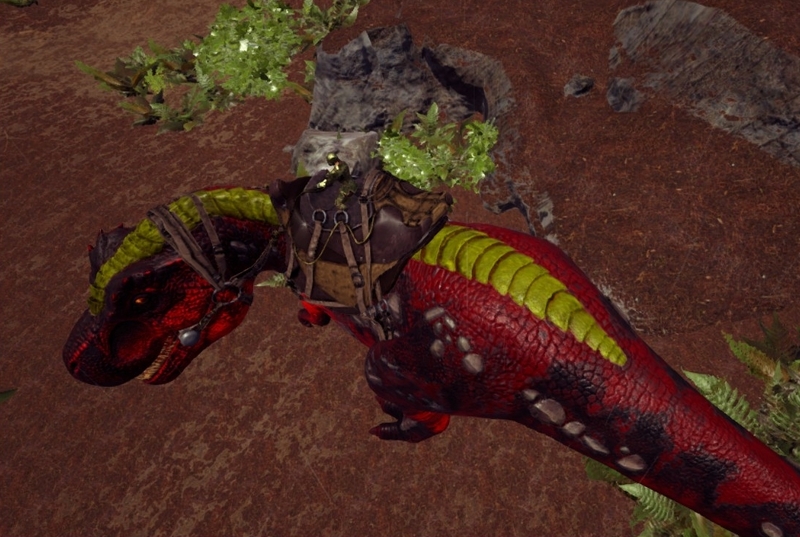 I thought you only get bright unusual colours as mutations.